Will Queen's be crowned 'Top Class'? Four of our former Year 6 girls took a very exciting trip to Glasgow before the summer to represent the school on the CBBC show ‘Top Class’! Charlotte, Izzy, Abi and Alice did fantastically well in round one which aired over the summer holidays, with a little help from Mrs Yousaf! 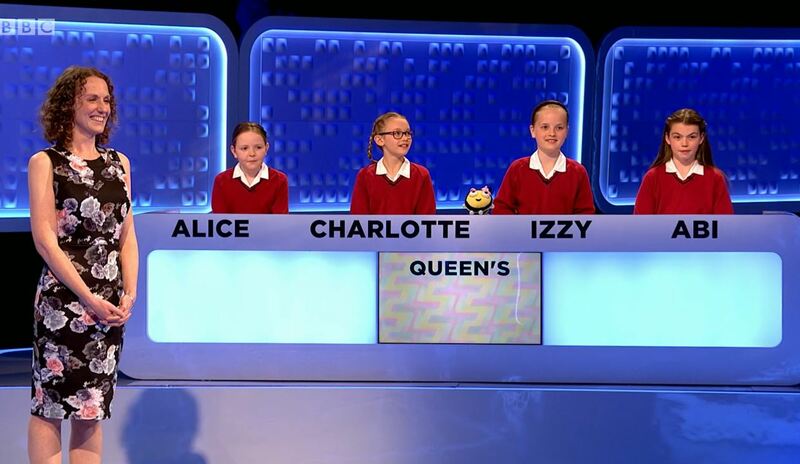 The girls are now through to the quarter finals of the competition which will be shown on CBBC at 9.30am on Sunday 14 October. If you cannot wait that long, it is likely to be available on iPlayer the week before. Go Queen's!